Personal Asset Management and More. KeyFlow Pro is a simple, but powerful media asset management app for single user and small workgroup. KeyFlow Pro keeps all your assets online, searchable, editable, and easily sharable. KeyFlow Pro delivers extensive asset management and functionality at a reasonable price. Creative professionals generate massive amounts of media. From Video and audio to image and project files, files of all types need to be managed efficiently. It doesn't matter if you're using one large storage volume or several external hard drives, KeyFlow Pro keeps all your assets online, searchable, and easily sharable. Supports all kinds of video, audio, images, documents and extras including package files such as Keynote, iBooks files. Choose either "Copy to library" or "Leave files in place" option when importing media. The fastest H.264(MP4) transcoder is embedded. Create a low-res video file during the import process in the background. Add markers, keywords into a video asset. Export Final Cut Pro X XML, Final Cut Pro 7 XML , XML for Premiere Pro CC and CSV options are supported. 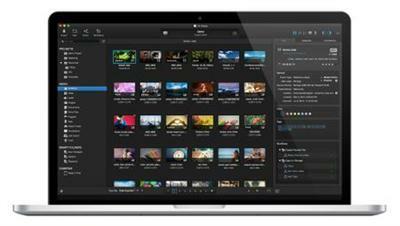 Send media to Final Cut Pro X or Final Cut Pro 7 directly from KeyFlow Pro. Export XML for Premiere. Share KeyFlow Pro libraries so that coworkers can not only search and preview media, but also upload the media into the shared library and edit the metadata of the media. See the same Tags in KeyFlow Pro and OS X system, Finder. Drag and Drop media files directly from KeyFlow Pro to any Applications. Create various types of actions desired such as tag, encode and transfer, then automate the jobs with workflow engine embedded. Automatically import files to specific project in KeyFlow Pro library using Watch Folder. Filter the media which already reside in KeyFlow Pro library, then exclude those from the import list (optional). When the files need to be massively moved to the different volume or folder for any reason, you can batch relink the media to changed location path. Add user-defined metadata field easily and configure custom metadata set in addition to EXIF, IPTC, and Final Cut Pro X metadata set provided by default. KeyFlow Pro automatically detects camera devices connected, then shows the latest items first. Search and preview media using the path name, even if the hard drive is offline. Search media assets by the text in annotation through Annotations search mode. Export an FCPXML only or both FCPXML and QuickTime Movie together directly from FCPX to KeyFlow Pro through FCPX Agent provided separately. Below you can post Comment about Free download KeyFlow Pro.1.6.1 (Mac OSX), full download KeyFlow Pro.1.6.1 (Mac OSX) free from rapidshare, filesonic, fileserve, megaupload, mediafire, hotfile, ftp, direct download. KeyFlow Pro.1.6.1 (Mac OSX) Torrent Download or anything related to the article here. Only English is allowed.